Amelia Earhart, the pioneering pilot of the early 20th century, had a remarkable spirit and great tenacity. Her story has something to teach us all about perseverance in the face of adversity. 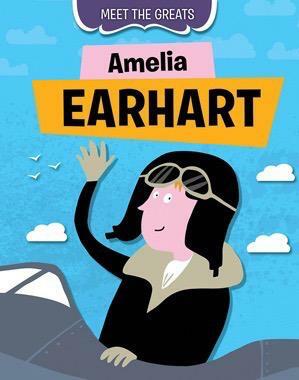 This superb biography takes readers aboard the cockpit with Earhart on a journey through her life, from her first encounter with an airplane to her unsolved disappearance over the Pacific Ocean. Future aviation experts will be especially interested in the current theories about her fate and impressed by historic photographs and details about Earhart's extraordinary achievements.